Juventus are hoping Leonardo Bonucci will sign a new contract with the club, to end the growing speculation around his future. The Italian defender still has four years left to run on his current deal with the Bianconeri, but the current Serie A champions want to ensure that he will not be leaving any time soon. According to reports, Chelsea are very keen on signing the 29-year-old, who has established himself as one of the best central defenders in the game. The Blues are worryingly precarious at the back, and are looking for world class replacements to shore up their defence. Antonio Conte, who managed the defender during his time as manager of the Italian national team, has reportedly identified Bonucci as the perfect fit. Reports also suggest that it would take a mammoth £5o million to persuade Juventus to sell Bonucci, but that has not deterred Chelsea’s interest. Juventus chief Giuseppe Marotta confirmed that talks are ongoing with Bonucci as well as striker Paulo Dybala – who has also been linked with a move away from Turin – regarding a contract extension to their already lengthy deals. 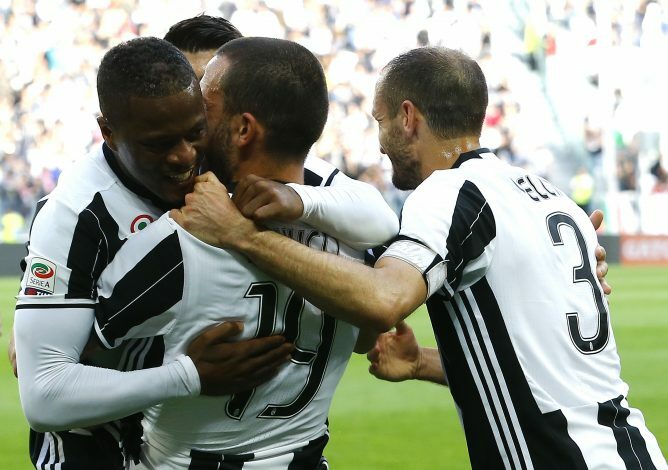 “The renewals of Dybala and Bonucci – they are two players that have long contracts,” he told Premium Sport. Chelsea will face stiff competition from Manchester City for the signature of Bonucci, should Juventus decide to listen to offers.